The world certainly has a strange assortment of life. Many animals often possess remarkable abilities that evolution has honed over centuries. Some of these creatures live on land, and many live in the various oceans. These abilities are jaw-dropping, and some of them should make us a bit jealous. The following list comprises a handful of such creatures, so read on to see just how amazing evolution can be. 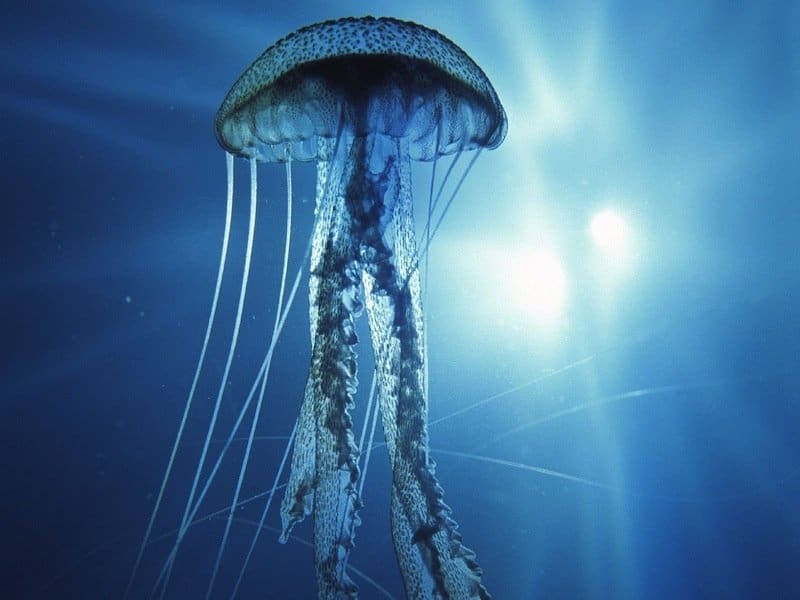 From creatures that can regenerate their own brains, to others that fire bubble-like bullets, this list provides numerous examples of Mother Nature’s finest creations. 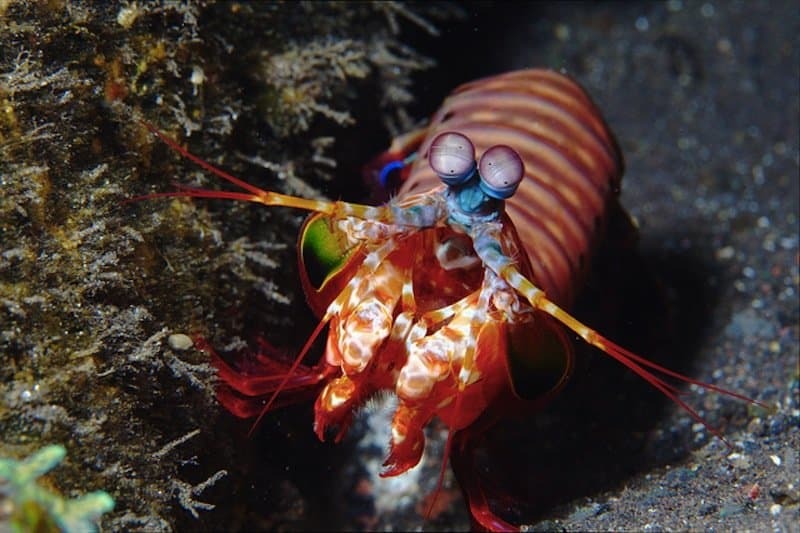 This bright, neon shrimp actually has two super powers. 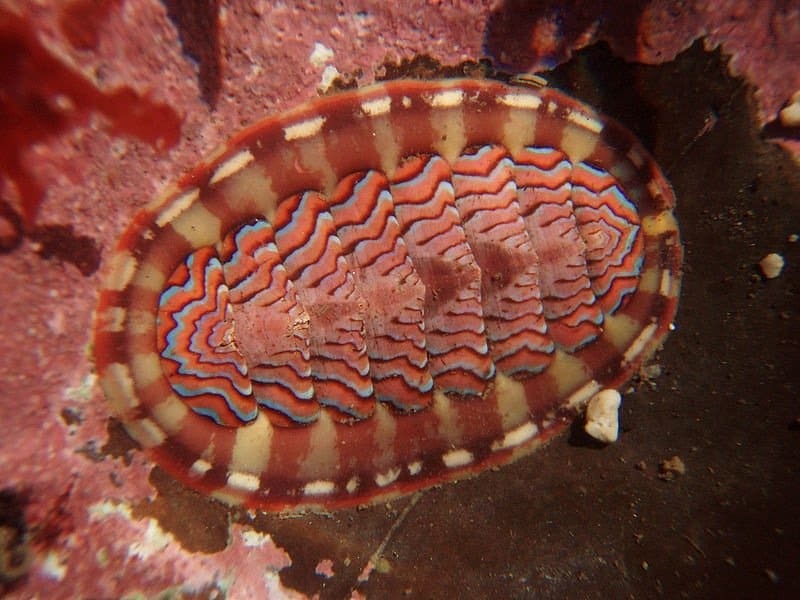 They have 16 color-receptor sites in their eyes, allowing them to see all colors including ultraviolet. Humans, in comparison, only have three (red, green, blue). Its second ability is that it can snap its claws at about 30-50 mph, with accelerations of (102,000 m/s^2). This creature is nearly immortal. When it gets old or injured it dives to the sea floor, and there it will fold in upon itself. Essentially, it reverts back to its “polyp” stage, or its baby-form, and begins life anew. These birds have the most complicated vocal muscles out of all the songbirds. With their ability, they can mimic an innumerable range of sounds both natural and artificial. Camera shutters, car alarms, barking dogs, human voices, chainsaws – the list goes on. Supposedly, the male lyrebirds will try to incorporate a whole host of sounds into their songs as a way to attract females. 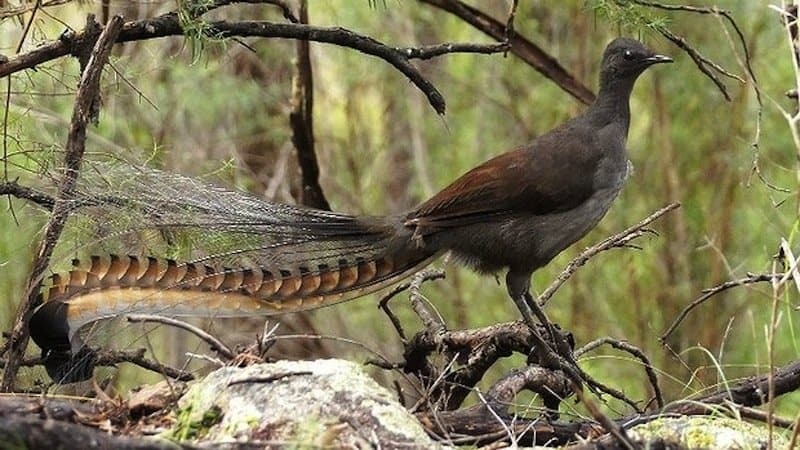 So imagine a male lyrebird trying to attract a female by barking like a dog! 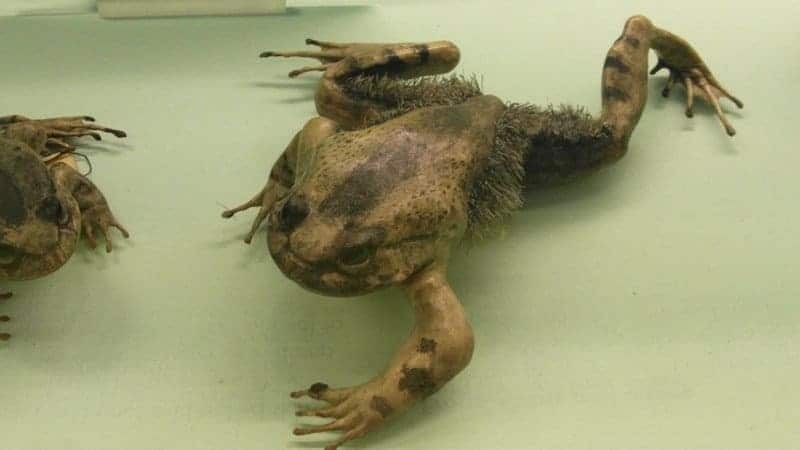 This guy is the Wolverine of frogs. When threatened, it somehow breaks its own bones internally and extends the broken parts out its feet and hands. They also have wicked sideburns like Wolverine, too. 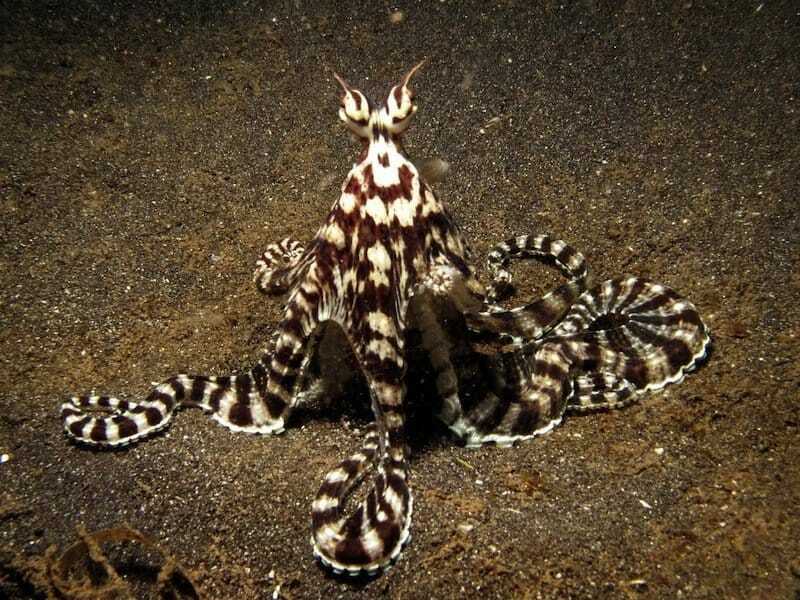 Mimic Octopi have the ability to mimic a plethora of other underwater species, such as the lionfish, jellyfish, and sea snakes; and it does so by changing its color and reshaping its body. It can gauge the threat of another creature and shape-shift in a matter of seconds. 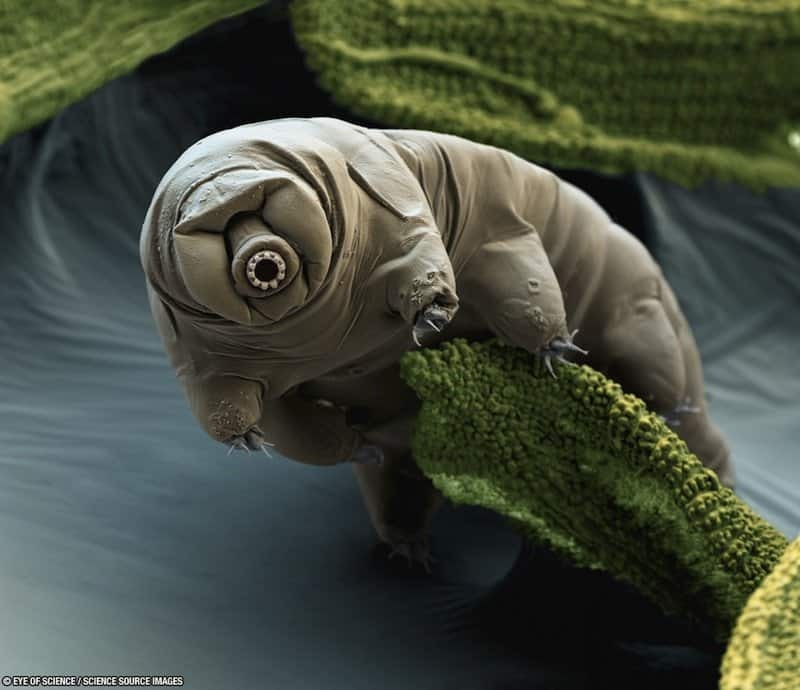 Also known as “water bears”, these guys are nearly indestructible. They’re tiny, only 0.059 inches in size, and can survive for nearly 120 years without food. Freezing or boiling temperatures…no problem! Pressures 6x greater than the oceans deepest depths…child’s play! Vacuum of space…piece of cake! They accomplish this by essentially dehydrating themselves to the point where their metabolic function becomes amazingly slow. 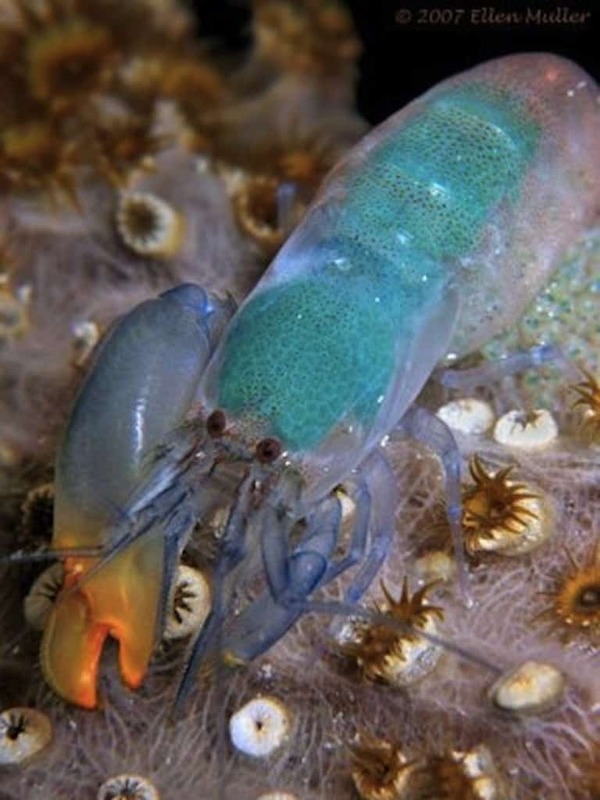 These shrimps can produce lethal acoustic pressure. They have one enormous claw, while the other is much smaller in comparison. They can snap this large claw so fast that it forms a bubble that can travel at nearly 60 mph and reach temperatures around 8,500 degree Fahrenheit. 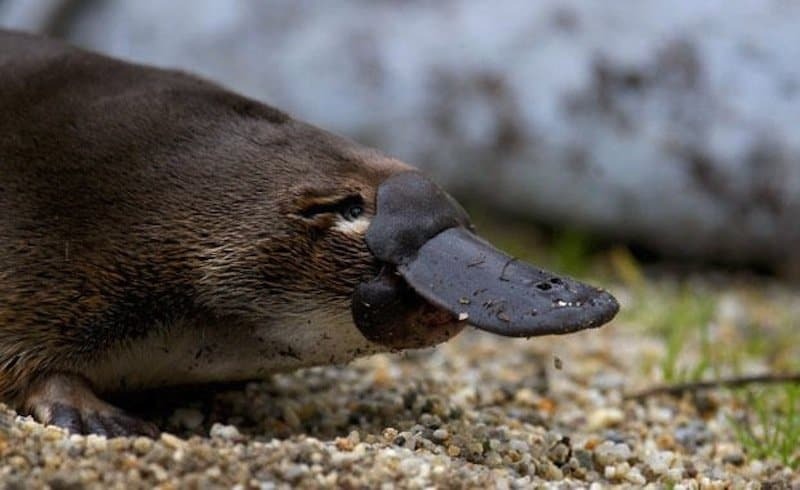 Platypus’s have “electrolocation”. Essentially, they have receptors in their bill that allows them to detect the electrical signals their prey may generate. The ironic thing is, the more quickly prey flees, the more electricity it generates, so it becomes easier for a platypus to pursue it. What’s more, the males have barbs on their hind legs that can inject a lethal poison. These guys also put Wolverine to shame in the healing department. 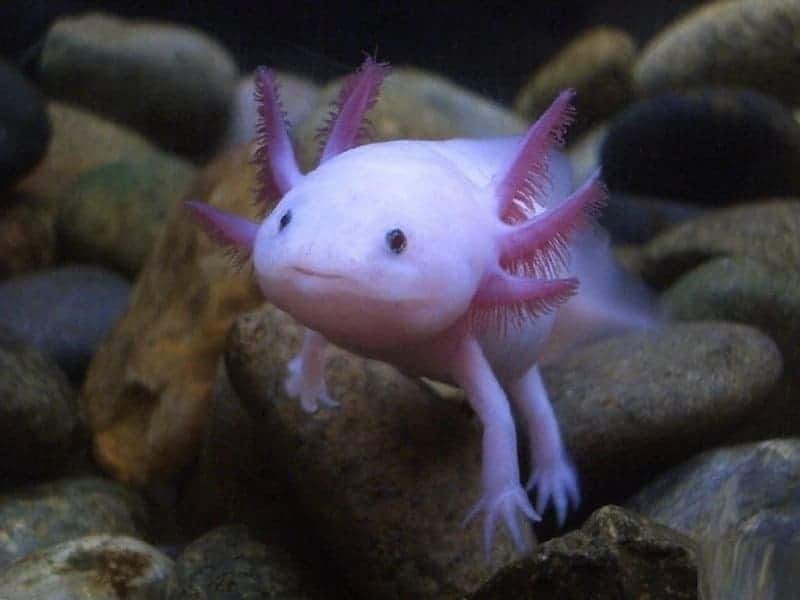 Axolotls are underwater salamanders that have a remarkable ability to regenerate. Not only can they re-grow their limbs, but also complex organs such as their hearts and brains. What’s more, axolotls can absorb dismembered parts from other axolotls. 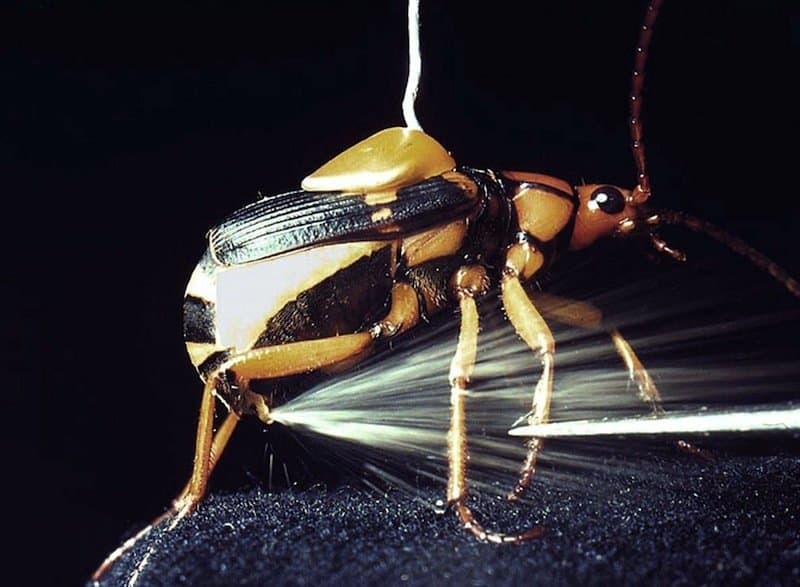 These beetles can spray a boiling-hot liquid out its behind when it’s threatened. When they sense danger, a chemical process gets triggered in their abdomen. Hydroquinone and hydrogen peroxide get mixed together, which turns into a super-heated and noxious chemical. This mollusk forms its own magnetite teeth, which is the toughest, hardest thing ever created by a living organism. To be made, magnetite requires high temperatures and heavy pressures, as well as strongly acidic or basic conditions, so its remarkable that Chitons figured out the recipe on their own. 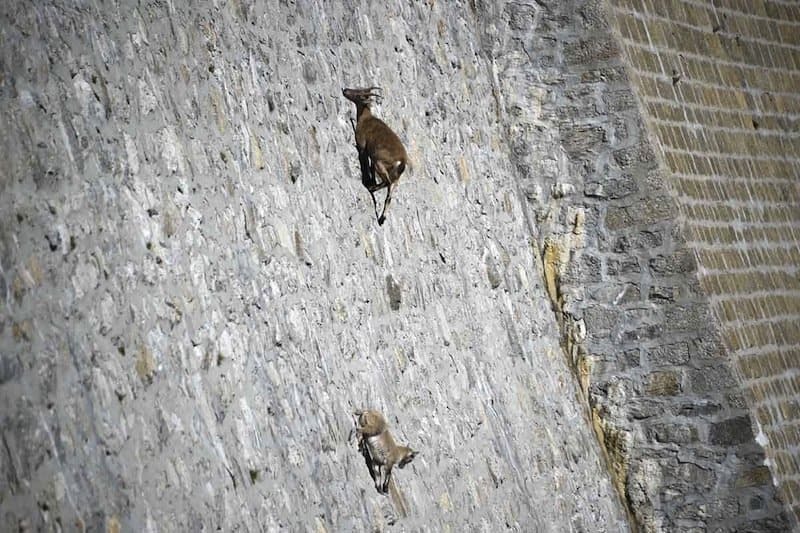 These goats are remarkable climbers, using complicated hooves that are well-adapted. They can climb the steepest cliff walls, often doing so gracefully and with no sign of vertigo. They do this to track down vegetation that often grows in the nooks and crannies of mountains, but it’s also a useful skill to have when trying to escape predators. They have been known to frequently climb the Cingino Dam in Italy to seek out salt-licks. 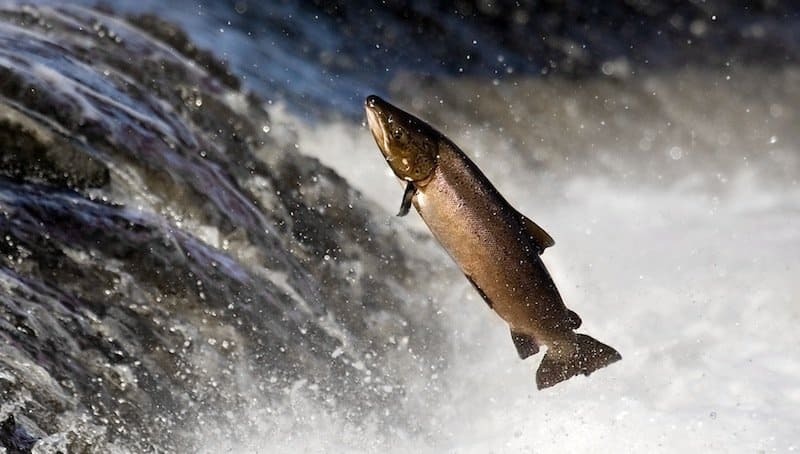 Salmon are actually shrewd navigators. They have the ability to sense the earth’s magnetic field, and use it to find their way around. They have no need of compasses or the north-star, for that matter. Bees actually have something in common with platypuses: they can sense electrical fields. 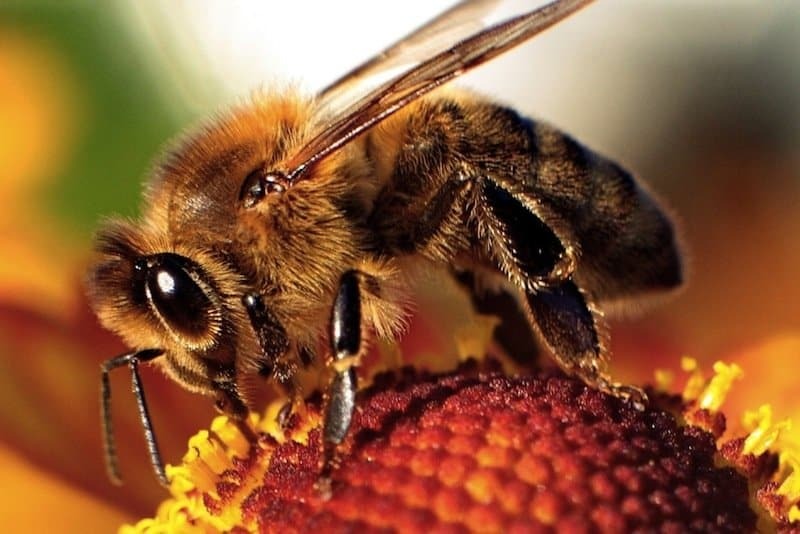 But unlike sensing the electricity of other creatures, bees sense the electrical fields of plants. Judging the electrical fields tells the bees which flowers have the most nectar. 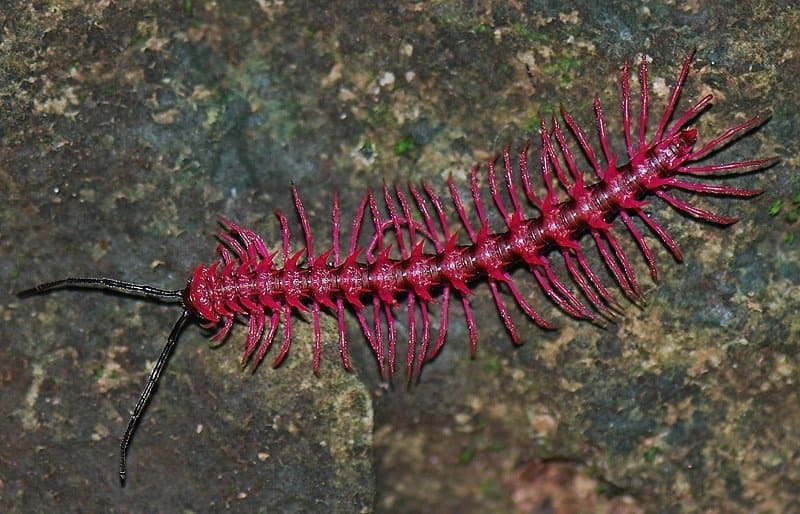 These pink little millipedes are the stuff of nightmare. If you see one, watch out because they can shoot cyanide when threatened. Another strange and bizarre sea creature. 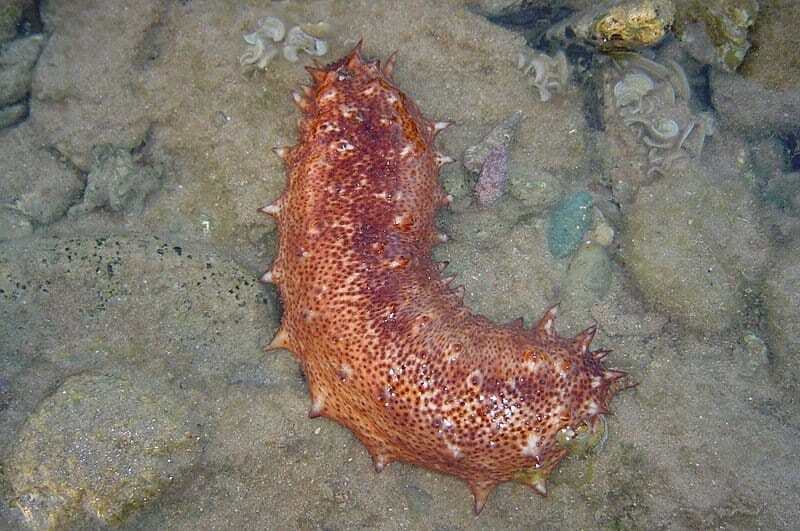 Sea cucumbers eject a sticky and thread-like substance that is actually part of their own organs, but they quickly regenerate. The substance, though, is highly toxic to predators. What’s more, sea cucumbers are accomplished shape-shifters: they can liquefy their internal organs to fit through the tiniest gaps. These guys and Spider-Man should hang out. 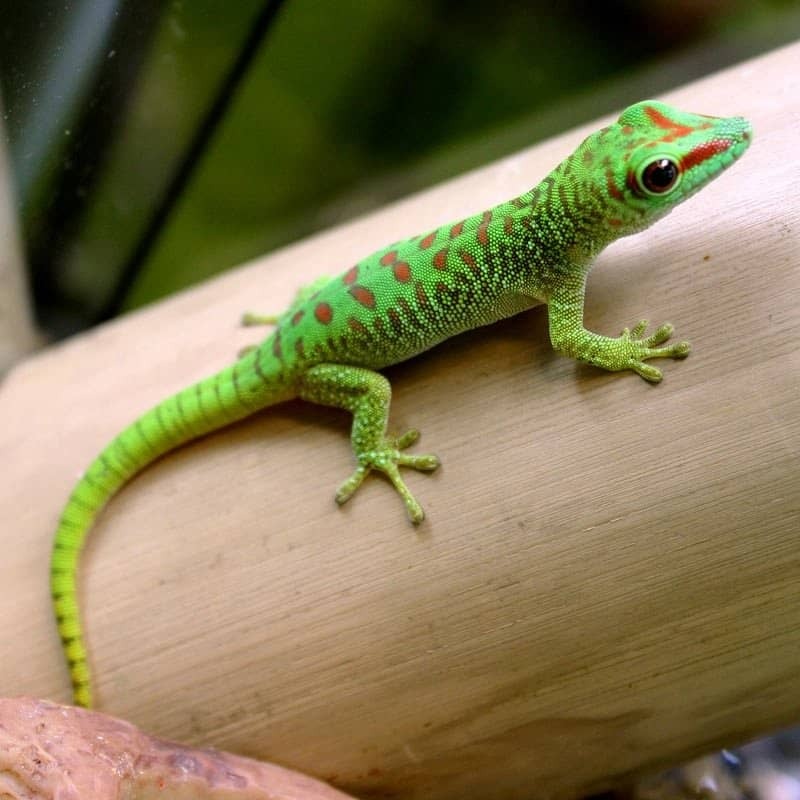 Geckos can scale sheer surfaces because they have tiny little hairs on their feet that form an electrical attraction with a wall or other surface. 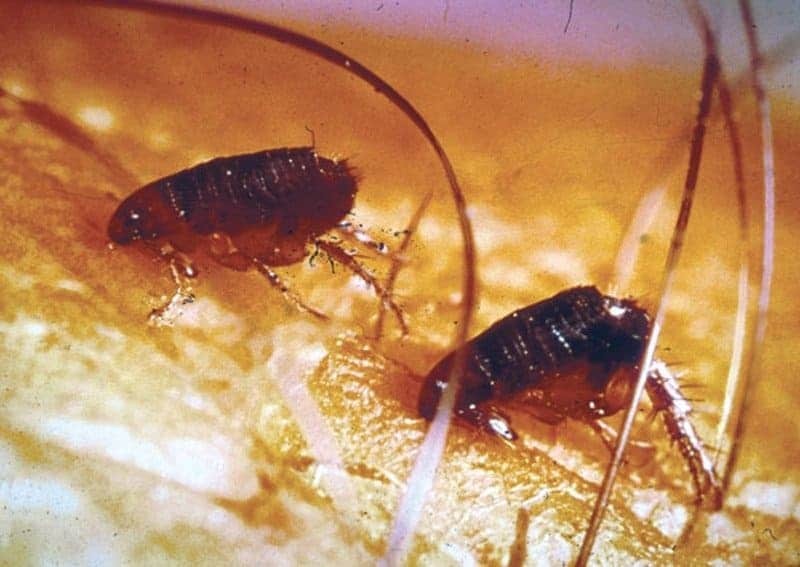 Though annoying, fleas are actually impressive. They can jump 200 times their own body length, which would be the equivalent of a human jumping a quarter mile. What’s interesting is that fleas derive most of its power from their toes, not their knees. 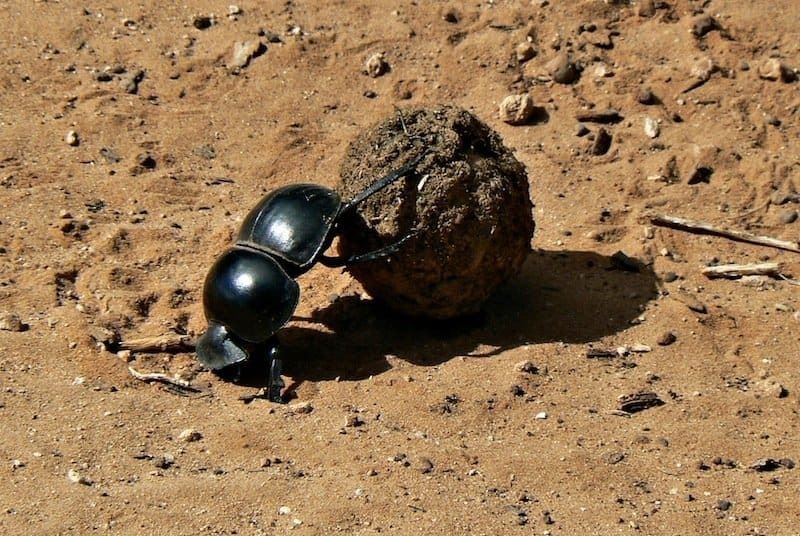 Dung Beetles are efficient little workers: they call pull things nearly 1,000 times their own body weight. They currently carry the title for world’s strongest insect. In comparison, a human weighing 80 kilograms would be able to pull an astonishing 80 tonnes. These snakes can see infrared, making it extremely difficult for critters to hide. 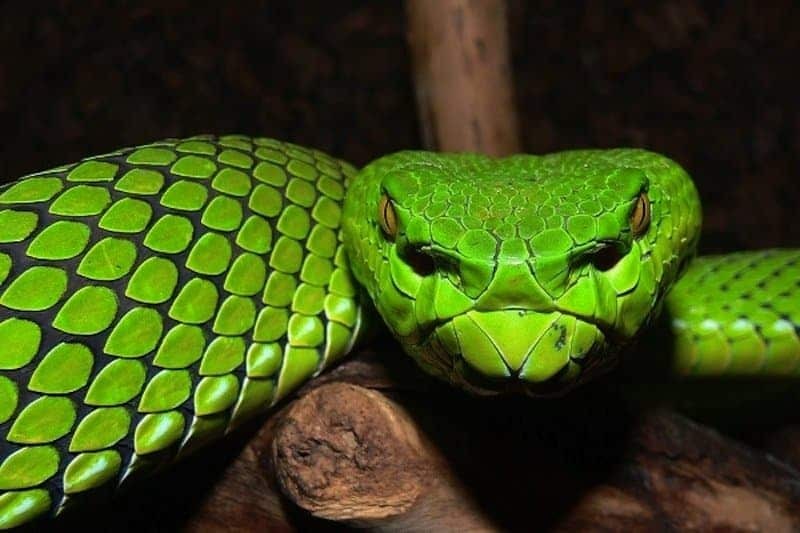 If you want to avoid pit vipers, consider hiding yourself like Arnold Schwarzenegger in the film Predator.